Thinking with the hands can be a necessary stage on the road to learning and creative breakthrough. We argued in a previous post that kinesthetic feelings and visual images precede symbolic expression of knowledge. Physicist Michael Faraday exemplifies this pattern perfectly and helps us to understand the results of Jeanne Bamberger's educational experiments in hands-on instruction with school children. Michael Faraday may not be a household name, but he should be. Every time you use an electrical device, you are indebted to Faraday. 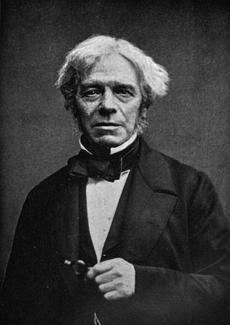 Faraday invented the first electric motor and the first electricity generator. And he discovered many of the fundamental principles governing the physics of electricity - all without a bit of mathematical training. 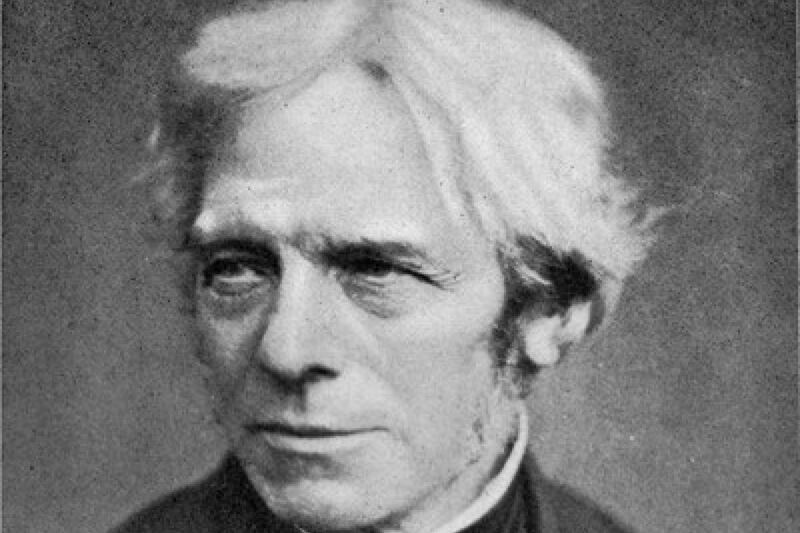 Faraday was Britain's Edison. Like Edison, he had almost no formal schooling, though he read voraciously. Like Edison, he learned a trade as an apprentice. And like Edison, he loved to tinker. His skills brought him to the attention of the greatest chemist of the day, Sir Humphrey Davy, who hired him first as a secretary, then as an experimental assistant and valet, and finally as a fellow researcher. As far as we can determine, Faraday never wrote an equation in his life, but that didn't keep him from making revolutionary breakthroughs. One of Faraday's most far reaching insights, summarized as ‘Faraday's Law', states that a changing magnetic field produces an electrical current -- no mathematics involved. Faraday's law was subsequently mathematized, however, by Faraday's younger colleague, the Scottish physicist James Clerk Maxwell. That formulation is what appears in today's textbooks - as one of Maxwell's equations. Nevertheless, Faraday's physical insight clearly preceded any attempt to translate it into mathematical symbols. 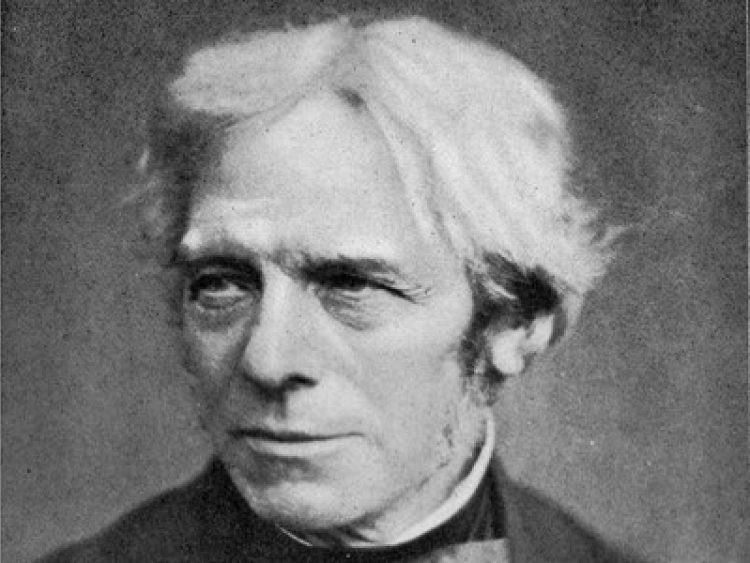 Even Maxwell, fluent as he was in mathematics, much preferred the kind of experimental demonstrations at which Faraday excelled. "For the sake of persons of different types," he wrote, "scientific truth should be presented in different forms and should be regarded as equally scientific, whether it appears in the robust form and vivid colouring of a physical illustration, or in the ... paleness of a symbolic expression" (Rukeyser, 1942, p. 439). As this passage suggests, Maxwell was at heart, like Faraday, a ‘thinkerer'. ‘Thinkering' is a word that the writer Michael Ondaatje coined in his novel The English Patient to express the genesis of concepts in the mind while tinkering with the hands. Much has been written about the human hand and how its use effects the brain, language and culture (see Frank R. Wilson's The Hand, 1998). What we want to point out here is that the physical manipulation of things, like direct personal experience of any kind, generates sensory images of all sorts and thus enables thought. Hands-on tinkering leads to minds-on thinkering. Bodily engagement with nature teaches much more than any amount of words or numbers in science books. Doing produces a personal understanding that symbols simply can't. Herein lies an educational dilemma. Partly out of necessity, partly out of naivete, we teach the principles in words and symbols before we teach the bodily-kinesthetic and imagistic thinkering that underlies them. And we've reaped the consequences. These consequences have been well documented by Jeanne Bamberger in her studies of Cambridge, MA school children. In one of her educational experiments, Bamberger studied students who did poorly on tests but were identified by their teachers as having "virtuoso" ability to build and fix things. Bamberger documented that these students had difficulties learning disembodied principles of science presented in mathematical and verbal formulations. When asked to build a mobile, however, these "academically challenged" students were stellar performers. They intuitively knew how the principle involved in balancing levers works in real life. One compared it to balancing a teeter-totter. But these students had difficulties translating their insights into formal symbols. In other words, they functioned like Einstein, Faraday, and Edison. 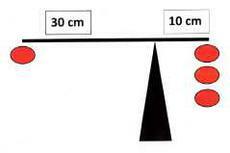 Ironically, Bamberger also documented the fact that many of the academically gifted students and most of the teachers could state in words or numbers the principle that governs the building of a successful mobile: the length of the ‘arm' on either side of the fulcrum or balance point times the weight attached to each ‘arm' must be equal. But few of these students. or even the teachers. could actually build a mobile! They were just as ‘handicapped' as the "academically challenged" students, but in an inverse manner. How much better it would be for everyone if education involved students (and teachers!) in feeling how things work by actually making things work AND ALSO translating their intuitions into formal symbol systems such as words or numbers. Only when tinkering, thinkering, and thinking are all integrated will students be able to back-translate words and numbers into kinesthetic feelings and sensory images so they can implement them in concrete forms such as electric motors and mobiles. After all, it's only in light of hands-on experiences that Faraday's law, Maxwell's equations, or E = mc2 can make any useful sense! Bamberger, Jeanne. 1991. "The Laboratory for Making Things." In D. Schon, ed., The Reflective Turn: Case Studies in and on Educational Practice. New York: Teachers College Press.